Hi everyone! I’ve been taking a bit of a break to work on something really big for December! So here’s one last Thanksgiving post for you before we switch gears and start talking Christmas crafts. 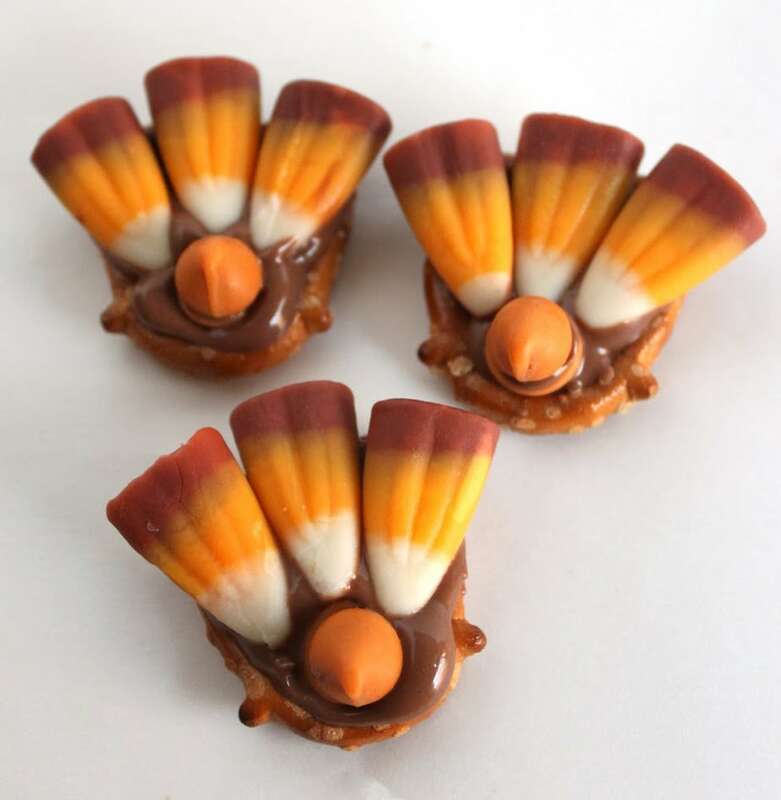 The pretzel Turkeys that we made are the perfect little Thanksgiving treats to share with the kids! Lay all of your your pretzels out on a piece of wax paper. 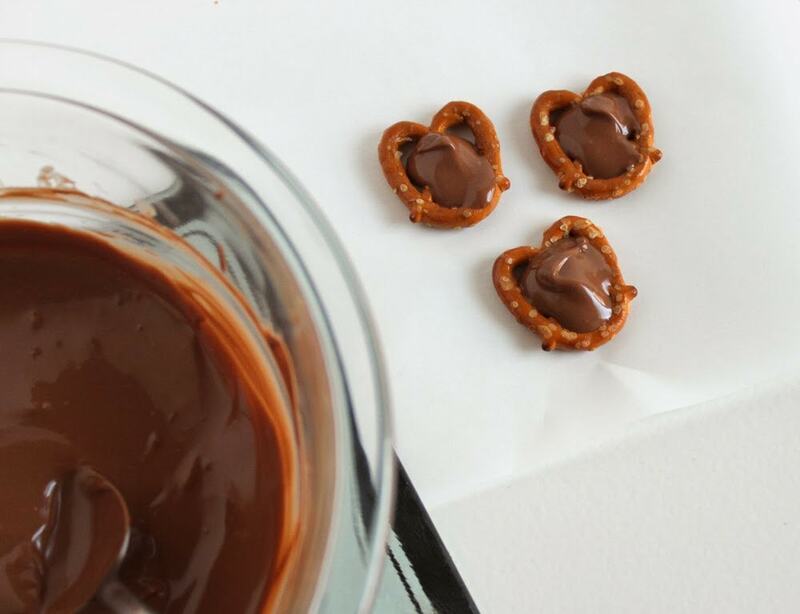 Spoon some melted chocolate on the center of each pretzel. 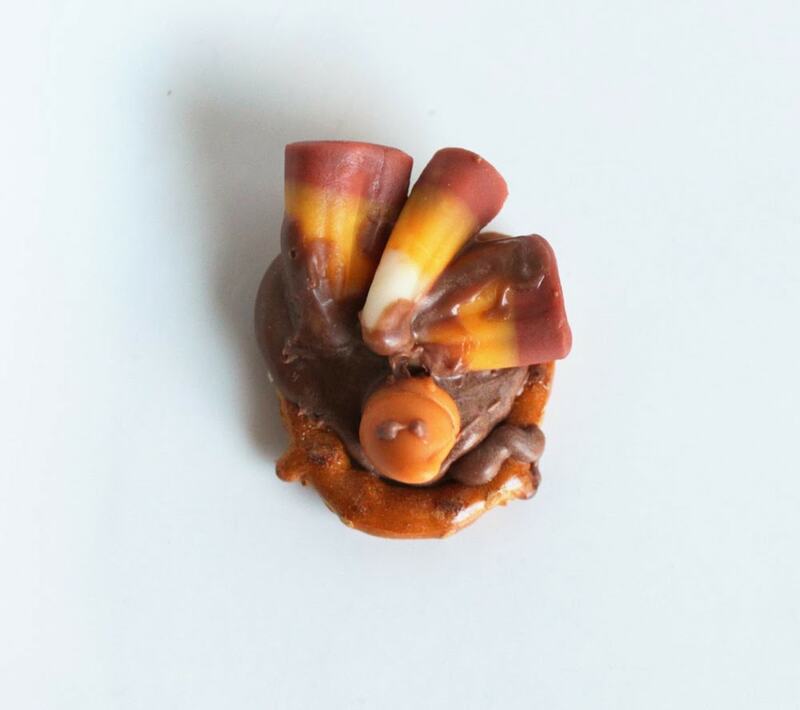 Arrange the candy corn on the top of the pretzel. 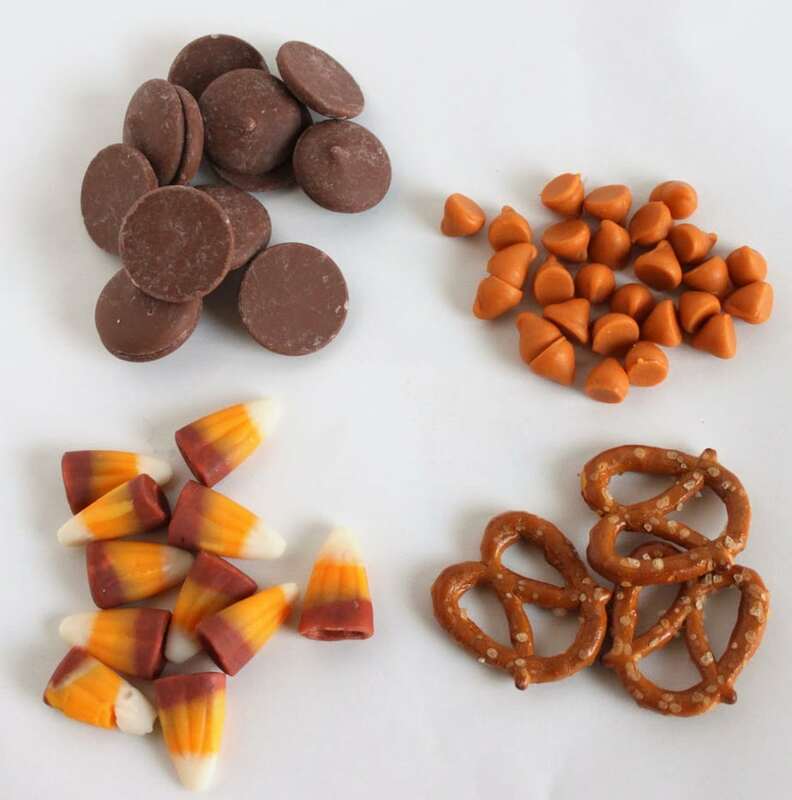 I found these cute fall-colored ones in the bulk section of the grocery store. 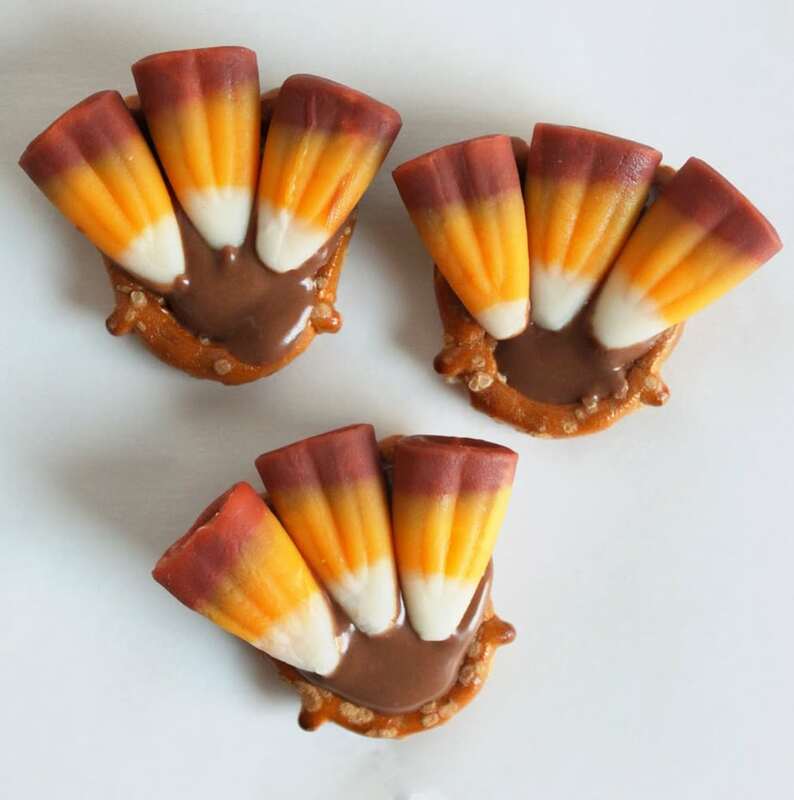 It helps to add a little bit more chocolate to the back of each candy corn before you put it on the pretzel. 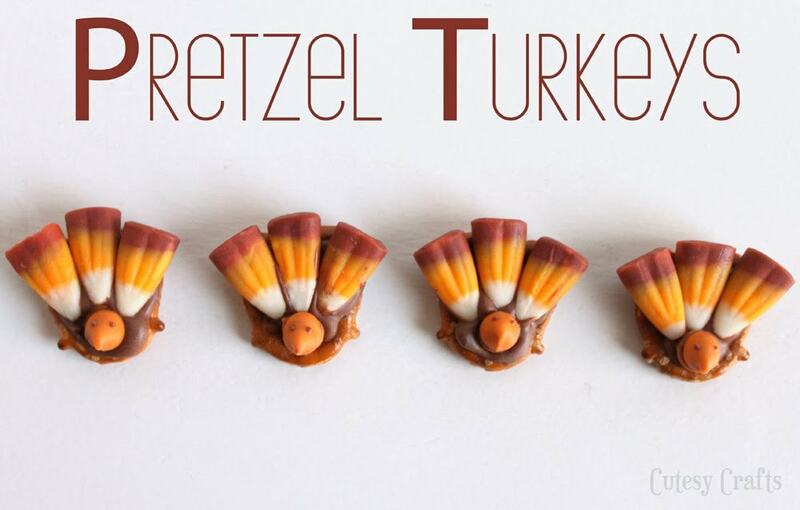 Push a butterscotch chip, pointy side down, into the bottom of each pretzel. Use a toothpick to spread a little more melted chocolate on the flat side of the butterscotch chip. Put another butterscotch chip on top of that, and you have a little face with a beak. Make sure the tip of the butterscotch chip points down. 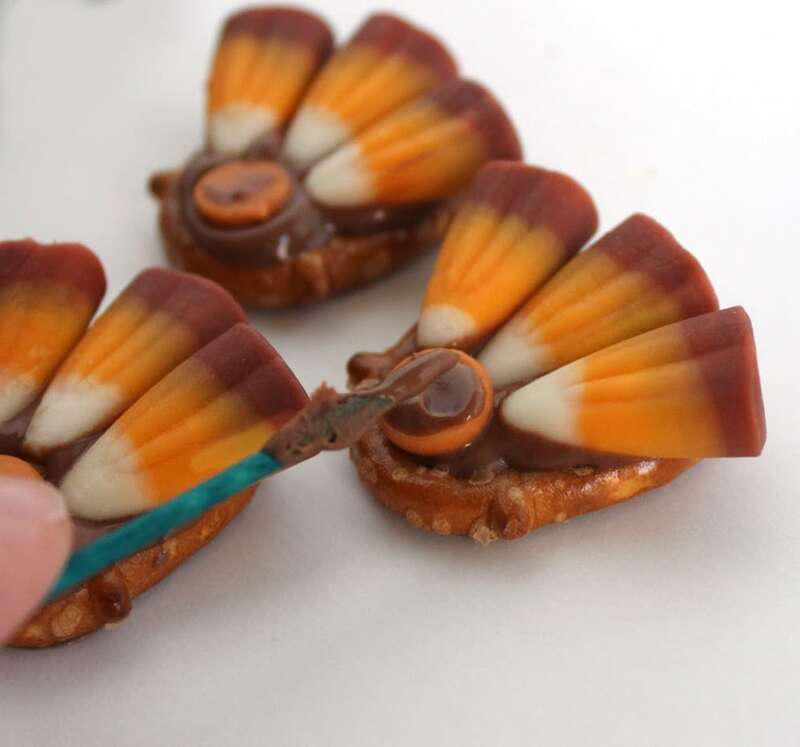 Dip your toothpick in the melted chocolate again, and use that to make eyes on each of your turkeys. So cute!!! 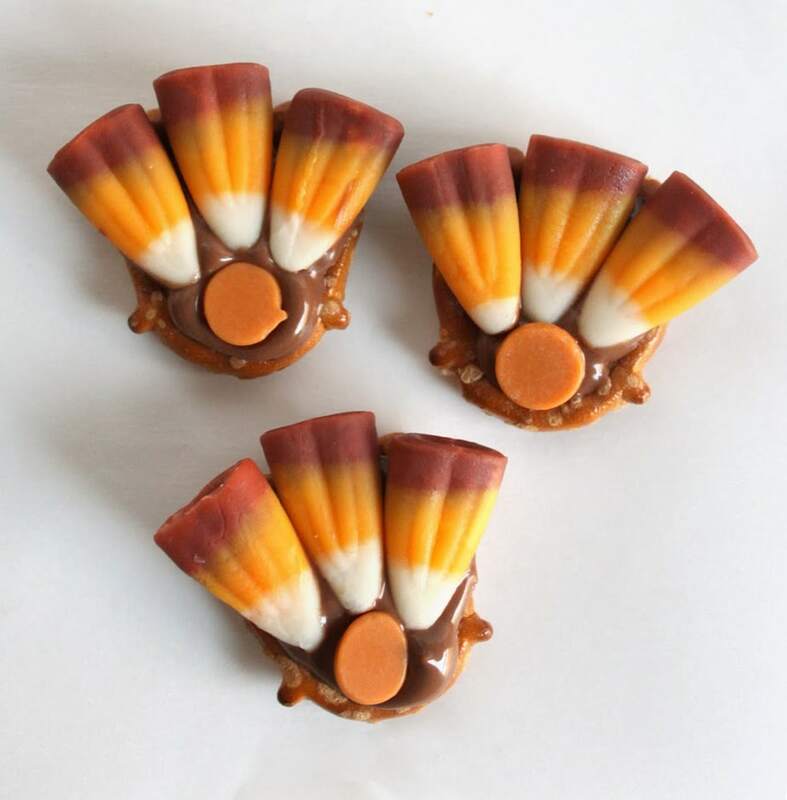 My kids had so much fun helping me make these Thanksgiving treats! Although, I do have to admit that Audrey’s turned out looking more like this. Nailed it! Haha! In her defense, she is only four. My six year old had a little bit of an easier time with it. These tasted pretty delicious too. The perfect combo of sweet and salty that I absolutely love! Hope you all have a wonderful Thanksgiving! Just one more week! Are you ready? 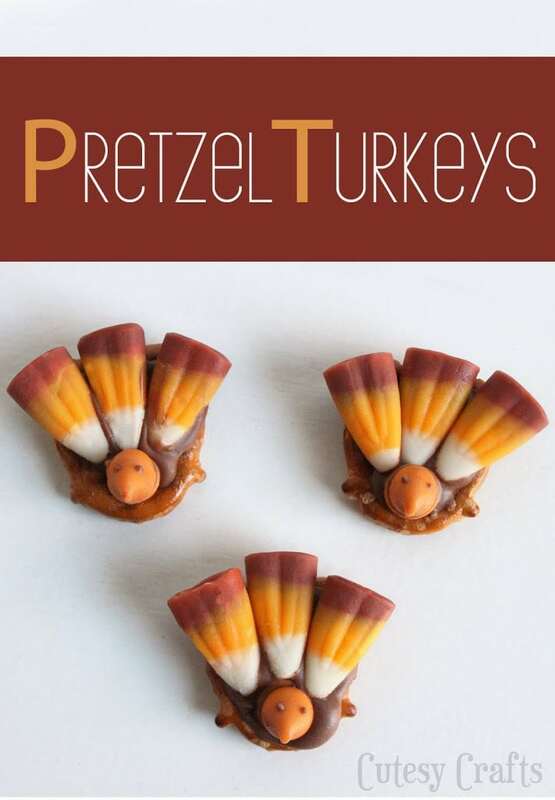 I’m thinking about letting all of the kids help make these at the dinner. That will give them something to do while we are waiting for Thanksgiving dinner.